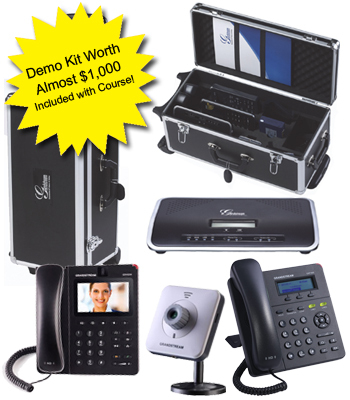 Are you considering learning about installing VoIP and/or VoIP PBX systems? 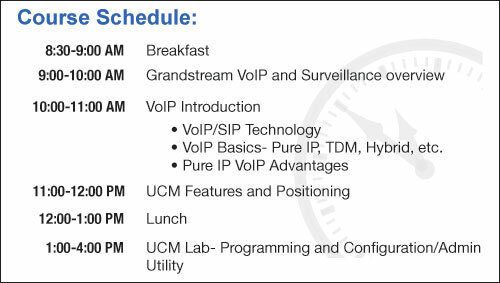 Would you like to learn about VoIP principles and which equipment can be used for IP phone deployments, IP Security and Surveillance, and VoIP systems? Join Grandstream and Streakwave for a fantastic training and hands on learning session in Cincinnati, OH on April 16th, 2015 at the Streakwave Training Center. This training includes a fully working set of equipment valued at nearly $1,000 MSRP (comes in a fantastic rolling travel box too!). Space is limited and the course is $595.